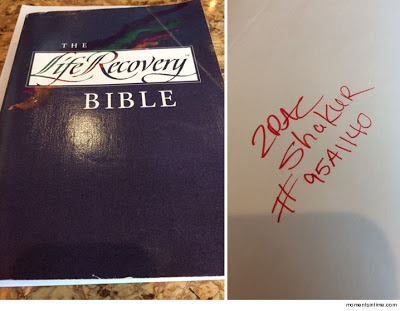 The bible Tupac read while serving time at a maximum security prison is up for sale at a cool price of $54k - N25.3million! We're told a member of Tupac's family put the bible in the hands of online dealer Moments in Time -- which set the price at a cool $54k. The late rapper signed it along with his inmate number from the 9 months he spent at Clinton Correctional Facility in 1995. You'll recall Tupac famously gave his "homeboys in Clinton Max" a shout-out in "Hail Mary." we're told the family will get a bulk of the cash.